A Middle Eastern terrorist and a South American drug lord are making plans to destroy Washington D.C. You must pilot your Comanche attack helicopter to protect the President and our beloved national monuments from nuclear attack! 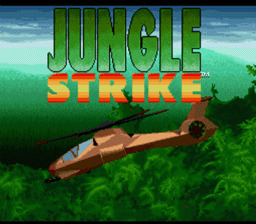 Then the true Jungle Strike begins, when you take the fight to them. Invade the South American jungle fortress with a huge arsenal of vehicles and weaponry, and save the world from these scum once and for all.